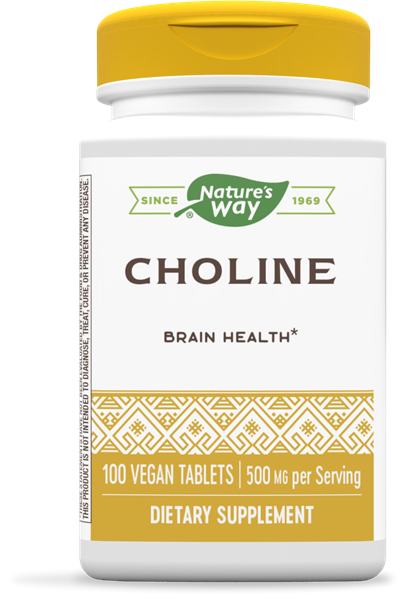 Choline / 100 Tabs - Nature's Way®. Take 1 tablet daily, preferably with food. If pregnant, nursing or taking any medications, consult a healthcare professional before use.